Good afternoon! I’m currently in Hugh’s OpenEd presentation. 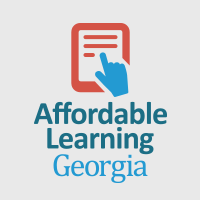 I’m the Program Manager for Affordable Learning Georgia. Explaining that here would take forever, so here’s the site! Affordable Learning Georgia is a University System of Georgia initiative to promote and create affordable and accessible educational resources for USG faculty and students. Hi Jeff - welcome! Hope you enjoyed the presentation. Affordable Georgia does some wonderful work and we’re really pleased to have you join us. Let’s see if we can sit down today or tomorrow? @hugh sure! Sometime tomorrow in the morning would work. I don’t have a presentation (at all, sigh), so any time works for me in the morning. @hugh I just realized we have TWO keynotes this morning. Could we meet in the early afternoon or at lunch?